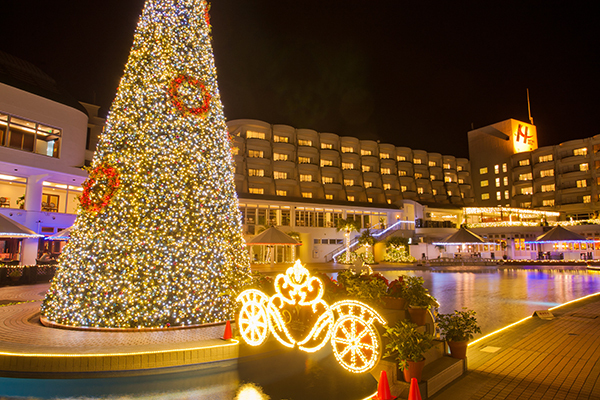 This is one of the largest nighttime illuminations in Okinawa, featuring some 1,400,000 sparkling lights and lasting for a longer period of time than similar events held at local hotels. 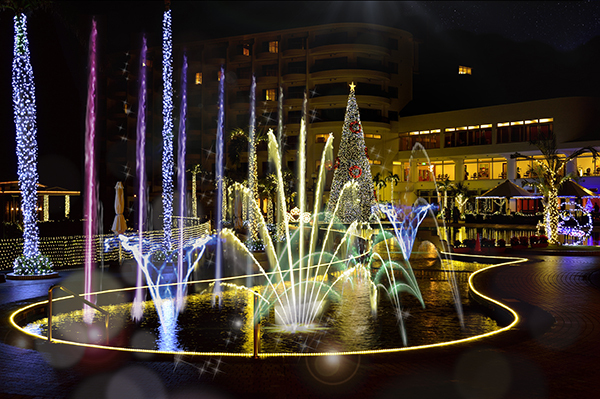 The hotel's garden pool and its surrounding area are transformed into a world of “aquatic illusion” where you can enjoy a spectacular fountain show that combines music, colored jets of water, the main Christmas tree and myriad sparkling lights. 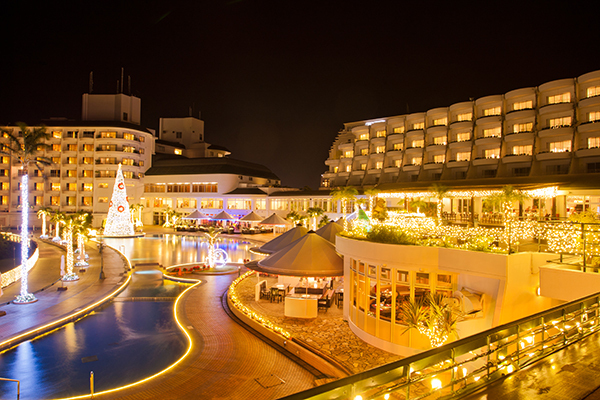 The reflections in the pool add to the romantic atmosphere. A live music show titled “Kariyushi Million Fantasy Live” will take place twice every evening during the month of December (1st show: 19:00; 2nd show: 20:20). 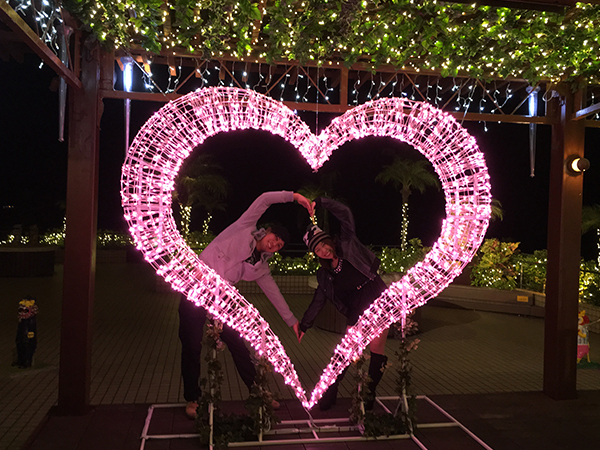 Take a souvenir photo with the huge heart-shaped frame adorned with pink lights. Parking: Hotel guests 500 yen per night, or 1,000 yen for two or more nights *Outside visitors will not be charged for parking.